Another bluegrass gospel album? Not quite. The gospel according to Monroe and Stanley, to be sure, but also the gospel according to Blind Roosevelt Graves, to Ira Tucker and the Dixie Hummingbirds, to the Carter Family, to the Duck Creek Quartet, to the Heavenly Gospel Singers. Gospel drawn from the wandering, tambourine-ringing street-corner preachers, from the old-time country church singing conventions, from the early Sunday morning Memphis radio shows shooting out to places like Ripley and Iuka and Clarksdale, from the scratchy 78’s on labels like Apollo and Vocalion, from the hot auditoriums in Charlotte or Birmingham where the stately black quartets set to in marathon contests; from the high lonesome sound of a Stanley Brothers concert in a Virginia courthouse to the churning drive of an Alabama Sacred Harp sing where the singers looked at teach other across a hollow square and knew the page numbers by heart. “Full gospel,” as the old church house signs used to say. Songs drawn from the wide, rich spectrum of gospel's roots, and done in the unique style of bluegrass's most distinctive new group: The Nashville Bluegrass Band. No, not just another bluegrass album. The band’s previous two LP’s, My Native Home and Idle Time, were full of unusual songs drawn from the kind of sources most bluegrass bands don't even know about, let alone appreciate. The gospel cuts on these albums especially attracted attention from critics and fans. The band agrees. “We wanted to do an album where people could look at the songs alone and see it was a different approach,” says Alan. But the vocals are equally distinctive. 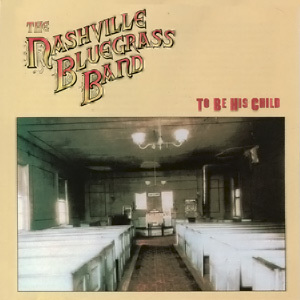 Here is the strong blues feel that has always made the Nashville Bluegrass Band different; here are the rich, strident, emotional harmonies that seem more at home in a tent revival or storefront church than in the tightly disciplined world of traditional bluegrass. Alan's growling leads, Mike Compton's delta-blues drenched baritone, Mark Hembree's rolling bass, and Pat’s high lonesome tenor form the ingredients for this heady stew. Stuart Duncan's skirling fiddle and Mike’s percussive mandolin work help frame these vocals. The album opens with three songs adapted from older black gospel originals. Goodnight, The Lord's Coming was discovered by fiddler James Bryan on a very rare 78 Vocalion record by an obscure group called the Pilgrim Jubilee Singers, who had recorded it back in 1927 in New York. They did the song unaccompanied, as does the Nashville Bluegrass Band here. Every Humble Knee Must Bow, with its rocking, bluesy feel, was for years featured with the great Dixie Hummingbirds, and their lead singer Ira Tucker; the Hummingbirds made their first record of it in 1945, and other groups soon copied it. In fact, the actual source for the version heard here is from a more modern LP cut by the New Gospel Keys, Clarence Clay and William Scott. No Hiding Place has been in bluegrass repertoires for couple of decades now, but its first recordings, in the 1920's, were by groups like The Old South Quartet (1928) and the Famous Jubilee Singers (1927). More standard bluegrass sources account for You're Drifting Away and Hold Fast To The Right. The former is a Bill Monroe composition, recorded originally in 1951 with Carter Stanley singing lead to Monroe's tenor; here Alan sings lead to Pat's tenor. Hold Fast to the Right is an old gospel-and-mother song that originated in turn-of-the-century Chicago, and was popularized over the WLS Barn Dance in the 1930's by blind duet singers Mac and Bob, best known for their When The Roses Bloom Again. The Carter Family made it even more of astandard with their 1937 Decca record of it, and the Stanley Brothers brought it into bluegrass circles. A Child Enters Life, on the other hand, is heard here for the first time on records; it was written by Alan O'Bryant and Bruce Nemerov, inspired by the epitaph on an old tombstone Bruce found in a country cemetery. Gospel Plow seems to derive from a pre-Civil War slave spiritual, Keep Your Hand on the Plow, Hold On, one of a number of such songs that on the surface spoke to otherworldly concerns, but implied a lot more about freedom and social justice. In 1961 Bob Dylan included a driving, up-tempo version of the song on his first album, thereby popularizing it with the folk revival crowd; as some of these musicians later drifted into bluegrass, the song followed. The Nashville Bluegrass Band version here comes from an informal tape of Bill Monroe playing the song at Bean Blossom; he had heard it played by a young singer in the parking lot and picked it up, though he never recorded it commercially. Its strong Pentecostal drive makes it one of the highlights of the set. Blues singer and songster Roosevelt Graves was the source for I'll Be Rested (When The Roll Is Called). A native of Hattiesburg, Mississippi, he recorded with his half-brother Uaroy Graves (on tambourine) in the late 1920s and early 1930s at sessions that ran the range from classic blues to gospel to "jook band" music. The Nashville Bluegrass Band learned about the song from Pete Kuykendall. New Born Soul comes from the rich black quartet tradition that developed in Memphis in the 1930s and 1940s; the band's immediate source was a recent LP cut by The Gospel Writers, a group originally formed in the 1930s and currently led by George Rooks. Rooks, however, learned the song from another group, the Jourdan Wonders, in the 1950s, and rearranged it for the Gospel Writers. The band's a cappella reading of it is close to the source in both style and feeling. The sparse accompaniment and careful diction of Are You Afraid To Die"? returns us to a more traditional bluegrass gospel sound, this time echoing the sound of the Stanley Brothers, source for this song. Old Satan is another new song, this one penned by veteran singer-guitarist Jim Eanes. Jim sent it to the band from his home in Martinsville, Virginia. To Be His Child came from The Duck Creek Quartet, one of Tennessee's best old-time white gospel singing groups. Well-known fixtures in the Sneedville area for over forty years, the Ducks feature the kind of rich group harmony that the Nashville Bluegrass Band re-creates here — a memorable doxology to a fascinating tour of gospel roots, a tour conducted by some of the most innovative young musicians on the scene today.